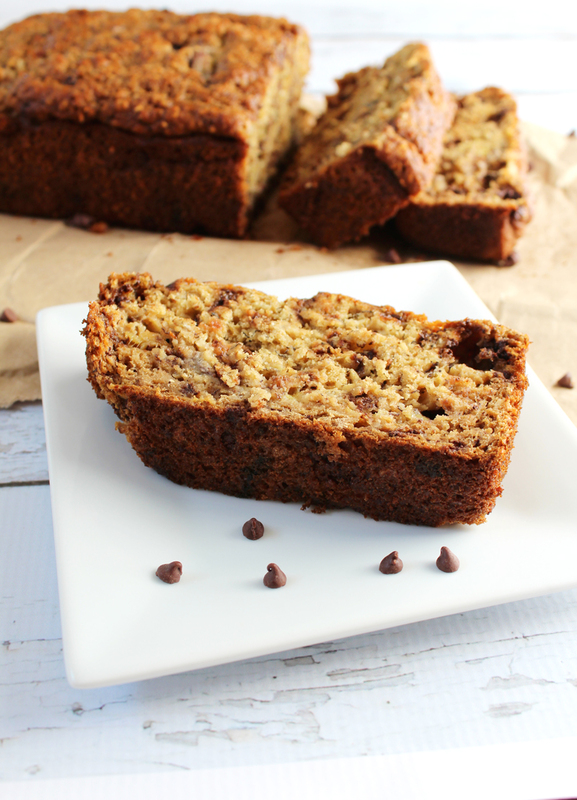 This banana bread is 100% healthy! Yes, its still bread. BUT it’s whole wheat flour, NO sugar, and NO butter! 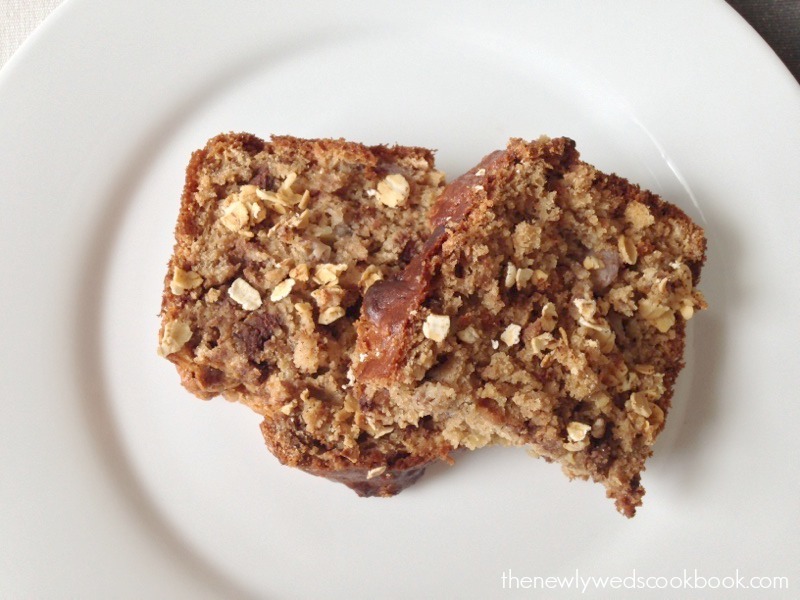 There is also apple sauce in this bread as well as oats…weird, right?! 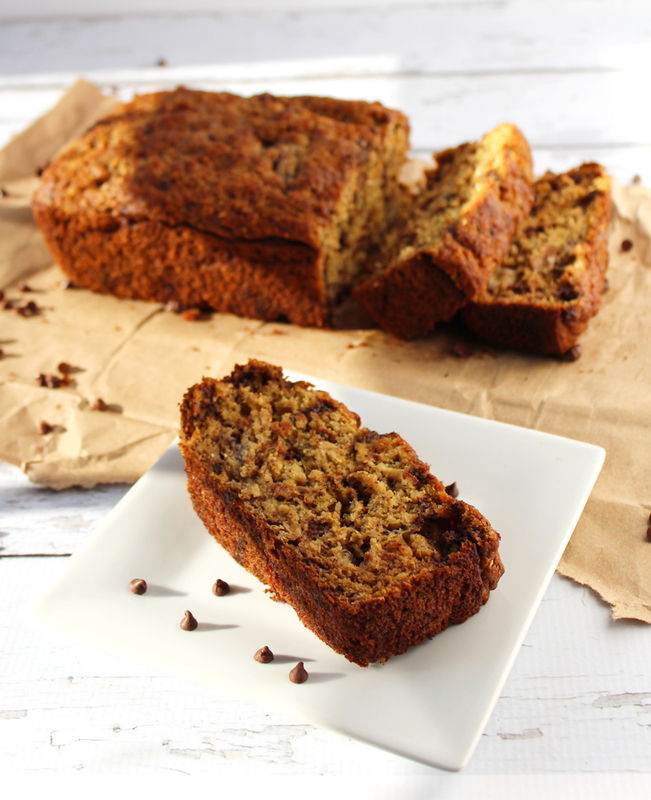 If you want to try a deliciously scrumptious banana bread with no guilt, try this bread. It is SO good! I realize we have had a lot of recipes with bananas recently, and if you don’t like bananas, I apologize for all the posts, they just happen to be the cheapest fruit in the winter. And when you’re cooking/baking on a budget, these sort of things matter. 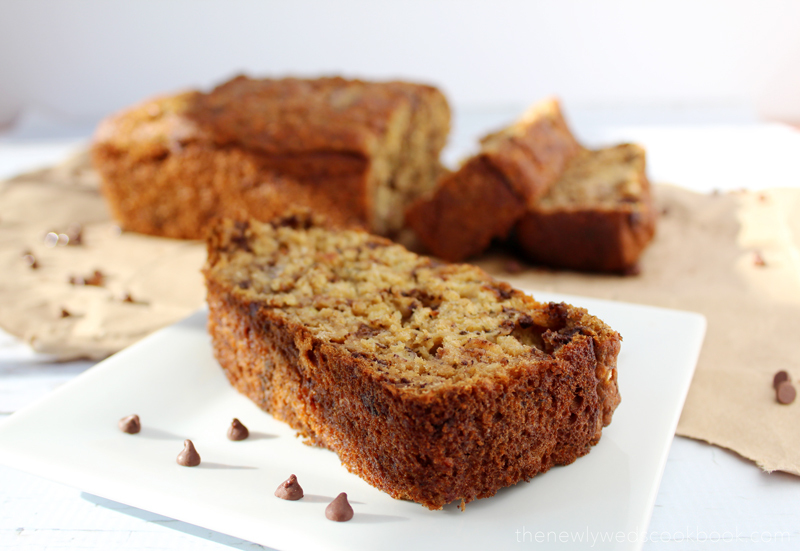 Here is the no sugar, no butter banana bread recipe. 1. Pre-heat the oven to 350 degrees. misto spray your loaf pan. 2. In a large mixing bowl, combine bananas, applesauce, honey, egg, vanilla extract, and almond milk until it creates a creamy consistency. 3. In a separate mixing bowl, whisk together the whole wheat flour, oats, baking powder, baking soda, cinnamon, and salt. 4. Mix in the dry ingredients into the wet ingredients, one cup at a time until fully combined, then add the chocolate chips and mix into banana bread batter. 5. Pour into greased loaf pan, and bake for 50 minutes.